With CloudConductor you can manage multiple hosts running in a cloud or on premise by having a central place for package management, configuration management and service status monitoring the easy way. 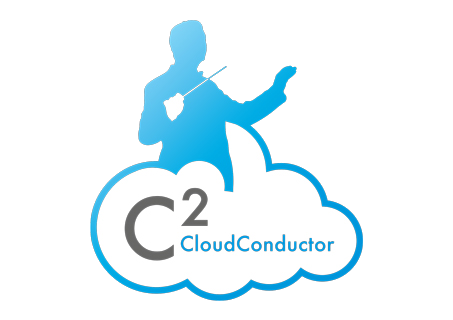 CloudConductor is OpenSource an can be freely used and developed. 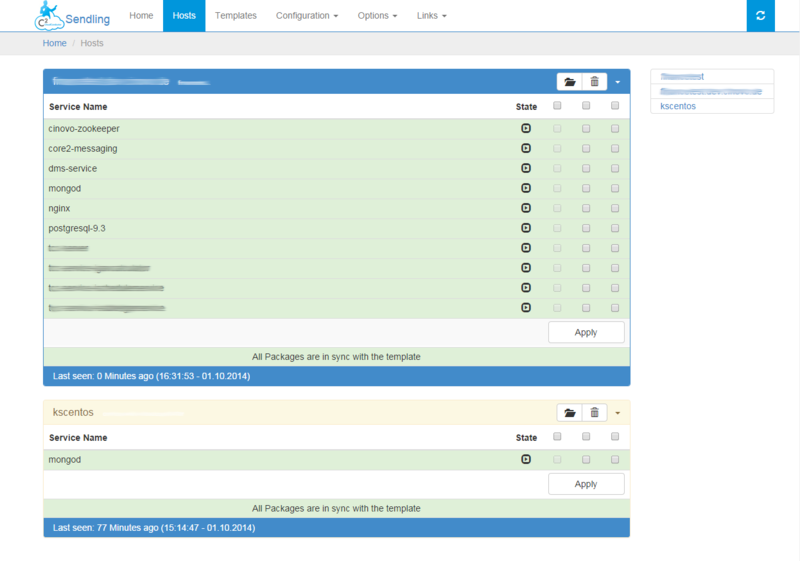 CloudConductor simplifies the process of deploying and managing installation packages in distributed systems. New hosts can be added to the environment dynamically without even opening any command line. Keep control over your configuration in one place. 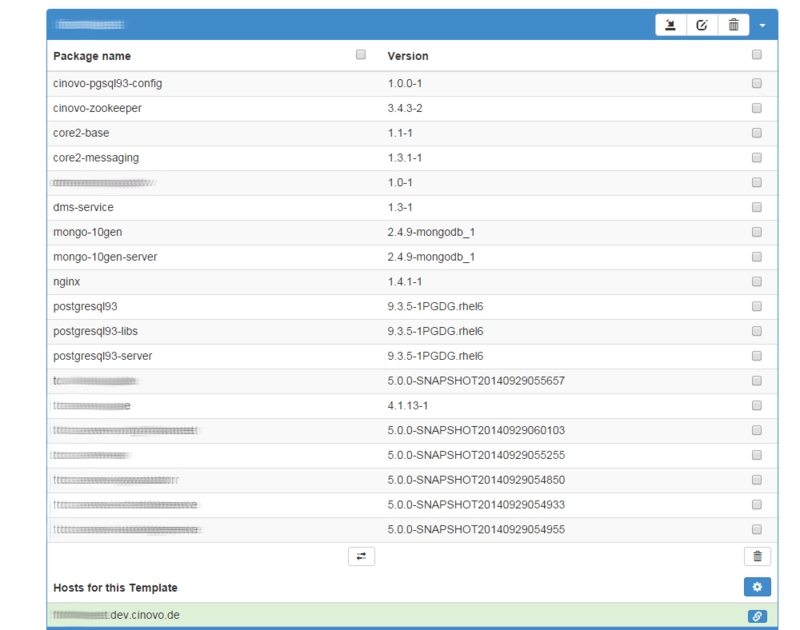 With CloudConductor you can manage configuration parameters and distribute configuration files to your hosts. Access the configuration through a straight forward REST Api. See what services are running and what is beeing installed. 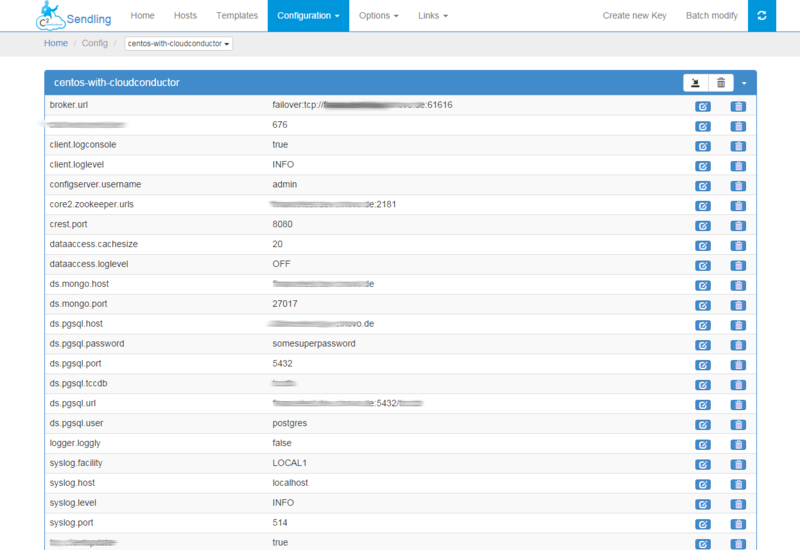 CloudConductor gives you a control panel to manage services on the hosts. Running big installations can be costly and confusing. We can support you with installation and operation of CloudConductor in big environments and developing exclusive features for your needs. 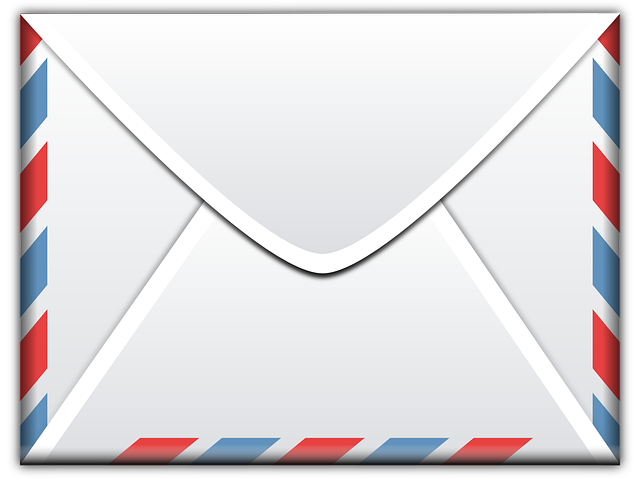 We are always just an email away and love to answer your questions regarding CloudConductor. You might think "What are the differences to already existing solutions and what is special?". We will tell you! When dealing with custom packages which cannot be found in standard templates, CloudConductor is for you. When dealing with configuration and files, no coding (e.g. Ruby files) is neccessary at all. Everything is done by the Web-GUI. Everything that must be configured (Parameters, Files, SSH-Keys, ...) in your cloud, is kept central in the CloudConductor. Every change you make to the configuration is audited and can be reproduces later on. CloudConductor is not bound to a distinct list of hosts. Your cloud can change the amount and types of hosts without having to change any configuration. Installing the CloudConductor is very easy. It is nothing more than the installation of a package and opening the website. All CloudConductor features are available through a REST Api. Everything that is done by the website can also be done with a simple HTTP call. CloudConductor is fully scalable out of the box. Running multiple CloudConductor servers has been a design goal from the beginning on. To reach a "Zero Downtime Update" of your service, CloudConductor supports a delayed installation of the hosts. First 50% is updated then the other. If you need one of the following, CloudConductor is not for you. Deploying non packages software (e.g. directly from a Git Repository), CloudConductor won't help you. BUT: Releasing software in packages is much more convenient and creating a package is very easy. Just ask us! BUT: CloudConductor IS able to do this by contributing the configuration on a file basis, which makes it even more flexible. Need Support or Custom Features? If you would like to have support with installation and/or operation of CloudConductor, we are there to help out! CloudConductor is OpenSource and you can use it for FREE. Just follow the installation steps given in the Wiki of the GitHub Project Also feel free to clone the project on GitHub and we would love to see your contributions. We offer wide range of support for installation and operation of CloudConductor. This is a basic support package. If you need custom features, support for bigger installations or CloudConductor as hosted service, get in contact and tell us about your needs. We will tailor a good offer for you. CloudConductor is made in Germany. Our office is located in the heart of Stuttgart. We initiated the development of CloudConductor to manage our own IT-Infrastructure and have it running in production very successfully. 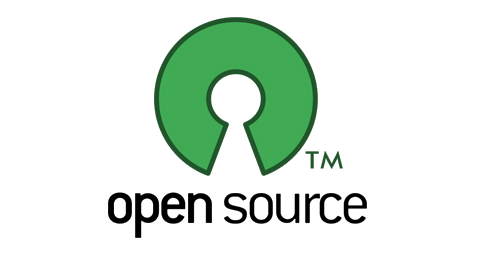 But we also know about the power of the huge OpenSource Community and decided to put the product under Apache License so that everyone can contribute and participate in this piece of software at free will. We will be happy to welcome any new contributor to this project and still have big plans for it.